Adult hearing loss has a significant impact on communication and quality of life. In spite of effective methods of diagnosis and treatment, many rural adults face significant barriers and delays in accessing care. The purpose of this study is to characterize the impact of hearing loss and the barriers for hearing healthcare in rural adults. Using stratified purposeful sampling, the study design involved semi-structured phone interviews with adults in the Appalachian region of Kentucky between 2016 and 2017 to describe perceived susceptibility to hearing loss; knowledge of hearing loss; cues leading to help-seeking; barriers limited access to care; benefits of seeking help; and self-rated confidence in seeking treatment. Thematic qualitative analysis was performed to identify recurring content themes. Forty adults participated in the study. Participants reported susceptibility to noise induced hearing loss with infrequent hearing protection use. Participants described concern with hearing loss-related communication barriers that could affect compliance with medical care, employment performance, personal safety, and relationship communication. Rural adult expressed willingness to seek hearing healthcare but reported a lack of providers in rural areas. The cost and the lack of insurance coverage for hearing aids were the most clearly articulated obstacles influencing access to care. Hearing loss has a significant impact on adults in rural areas. A lack of providers and the overwhelming cost of treatment are barriers to care. Further research is needed to identify novel methods to support rural adults seeking affordable hearing healthcare. This work was supported by the National Center for Advancing Translational Sciences [University of Kentucky Physician-Mentored Student Research Fellowship—UL1TR000117 (WP)] and National Institute of Deafness and Other Communication Disorders (1K23DC014074) (MLB). MLB is a consultant for MED-EL and Stryker and has received research funding from Advanced Bionics (unrelated to this research). There are no conflict of interest with the content of this manuscript. The authors have no other financial relationships or conflicts of interest to disclose pertaining to the manuscript. Summary health statistics for U.S. adults: National Health Interview Survey, 2012. National Center for Health Statistics. https://www.cdc.gov/nchs/data/series/sr_10/sr10_260.pdf. Accessed 8 Feb 2019. Healthy People 2020: The road ahead. http://www.healthypeople.gov/2020/topics-objectives/topic/hearing-and-other-sensory-or-communication-disorders. Accessed 10 Aug 2017. U.S. Department of Health and Human Services. National Cancer Institute. 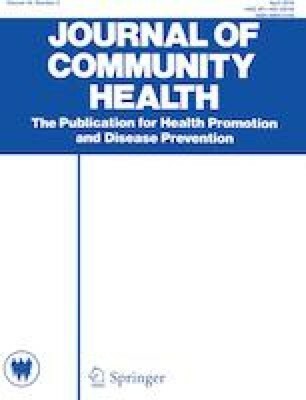 Theory at a glance: A guide for health promotion practice. U.S. Department of Health and Human Services and National Institutes of Health. 2nd ed. 2005. Web. 31 May 2014. http://www.cancer.gov/cancertopics/cancerlibrary/theory.pdf.